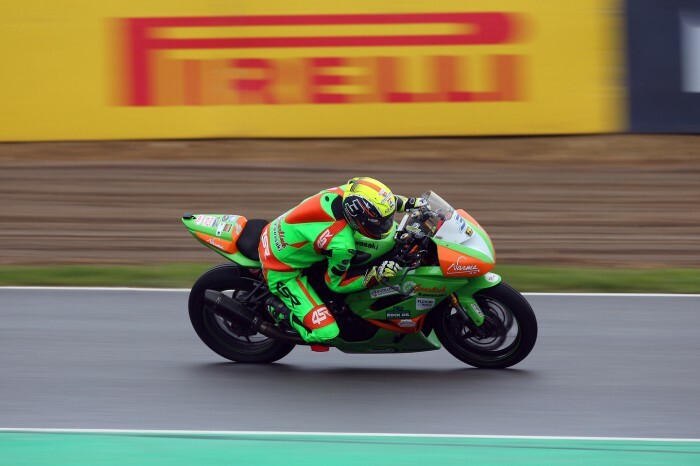 James Westmoreland snatched his first win in the Dickies British Supersport series since August of 2016 as he beat champion Jack Kennedy this afternoon. 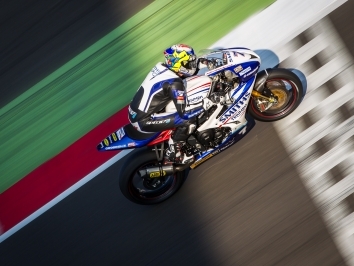 The class veteran flew the lone flag for Gearlink Kawasaki after his team-mate Ben Currie was forced to retire, as he held off the Irishman in the closing stages. 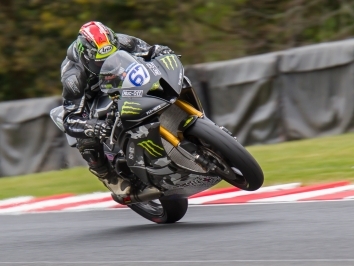 Alastair Seeley got the best possible start from pole position as Currie, Kennedy and Westmoreland slotted in just behind, and it was soon clear that it was a four-horse race for the win as the leading quartet stretched a gap over the ensuing field. While Seeley held the early advantage, Currie and Kennedy both took turns at the front as the 18-lap race wore on. But disaster struck for Seeley when he crashed his EHA Racing Yamaha at the exit of Graham Hill Bend, whittling the battle for victory down to three-strong before Currie dropped out of contention moments later as his ZX6R suffered a technical issue heading toward Pilgrim’s Drop. Westmoreland and Kennedy continued to slug it out for the win, but Kennedy couldn’t find a way through on the final lap and rolled off as he had to settle for second instead, while Westmoreland took his first victory in over two years. 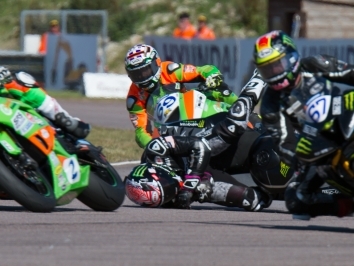 Kennedy’s team-mate Brad Jones saw off charges from Tom Oliver and James Rispoli as he scorched from last on the grid to third to take the final rostrum spot.